On my third attempt, seen at the top of this post, my inks were better, my colors were comparable to my second attempt, and I didn’t overwork any areas of the color. It is a pain to ink the same image over and over, but ultimately I’m glad I stuck with it because I really like the concept of the image, and it’s very satisfying to have a completed version of that concept. Thanks for stopping by! 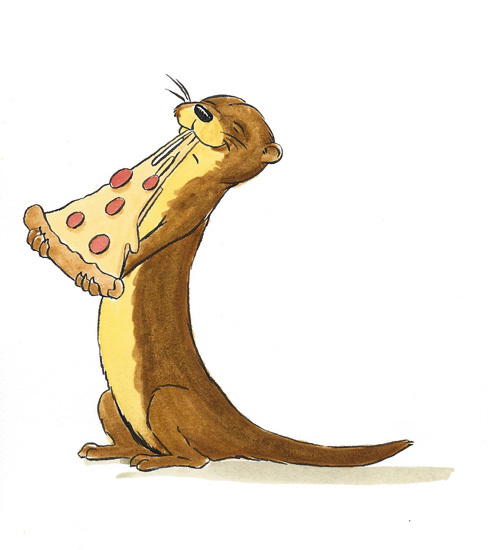 This entry was posted in illustration and tagged animals, eli moody, illustration, otter, pen and ink, pencils, pizza, watercolor. Bookmark the permalink. 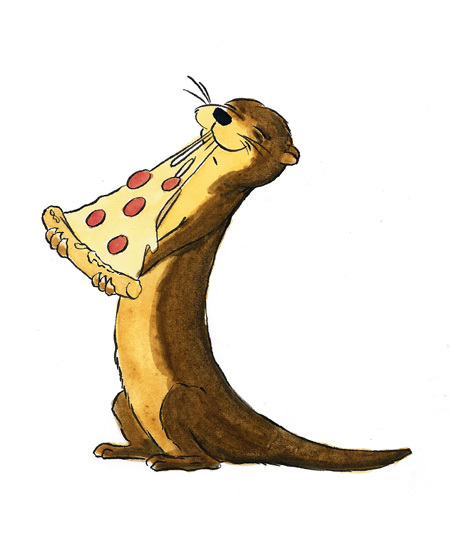 I love love love this illustration, and I was trying to make a t-shirt for an upcoming trip of mine. I am going to go live out my dream in San Diego, which is swimming with otters and I was trying to make matching tank tops for myself and my boyfriend. 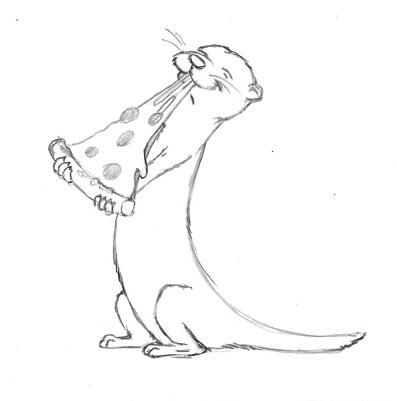 I have attached the link to the design that we were going to use for the shirt, and I was wondering if you minded if we used your otter?! 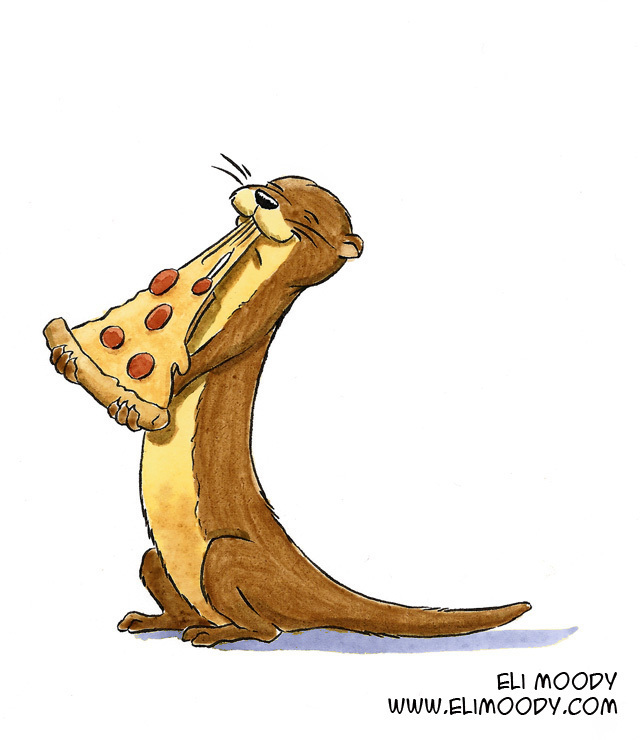 It is so difficult to find a cute cartoon of one and I am obsessed with pizza being from Chicago so this was so perfect! If you would like us to add your name somewhere on there I would have no problem doing that as well!